Mark McCrory will participate in The Little Prince from 01/23/19 through 02/17/19 (Tulsa Opera). Mark McCrory will participate in Manon Lescaut from 02/20/19 through 03/19/19 (The Dallas Opera). One of America's leading young basses, Mark McCrory has attracted considerable attention for an imposing voice and galvanizing stage presence. 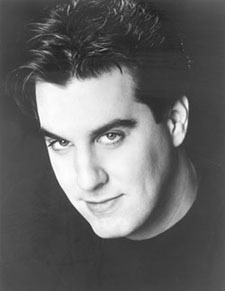 Notable appearances include the title role of Le Nozze di Figaro for Hawaii Opera Theatre, Minnesota Opera, Opera Festival of New Jersey, and Opera Longview, the Count in Le Nozze di Figaro for the New Orleans Opera, the title role in Don Giovanni for Opera Pacific, Wichita Grand Opera, and the Madison Opera, Capellio in Bellini's I Capuleti e I Montecchi for the Opera Company of Philadelphia, Claudius in Thomas' Hamlet with the Opera Theatre of Saint Louis, Sparafucile in Rigoletto and Nettuno/ Tempo in Il Ritorno D'Ulisse in Patria for Glimmerglass Opera, Zuniga in Carmen for the Florentine Opera and the Baltimore Opera, Angelotti in Tosca for the Florida Grand Opera and Tulsa Opera, Ferrando in Il Trovatore, Raimondo in Lucia di Lammermoor for the Portland Opera, Olin Blitch in Susannah for Hawaii Opera Theater, Nourabad in Les Pecheurs des Perles for Indianapolis Opera, The Pirate King in The Pirates of Penzance and Escamillo in Carmen for Opera Longview, Friar Lawrence in Romeo et Juliette for the Lyric Opera of Kansas City, Sparafucile for Nashville Opera, Raimondo in Lucia di Lammermoor for Mobile Opera, Basilio in Il Barbiere di Siviglia for Virginia Opera and Tulsa Opera and Ferrando in Il Trovatore for Kentucky Opera. In Italy, he has appeared at the Rome Opera as Marco in the Italian premiere of William Bolcom’s A View from the Bridge. He is a regular guest of The Dallas Opera with whom he has performed in more than twenty productions. As an alumnus of the Lyric Opera Center for American Artists, he sang numerous roles with the Lyric Opera of Chicago including Monterone in Rigoletto, Zuniga in Carmen, and Marco in the world premiere of William Bolcom’s A View from the Bridge, a role he repeated with the Portland Opera. On the concert stage, Mr. McCrory has appeared as Don Fernando in Fidelio with the Chicago Symphony conducted by Daniel Barenboim, Verdi Requiem with the Quad Cities Symphony and the Canterbury Choral Society, Handel's Messiah with the Richmond Symphony and Pacific Symphony, Beethoven's Ninth Symphony with the Chicago Youth Symphony, Schumann's Das Paradies und die Peri with New York's Mostly Mozart Festival, and in a duo recital with Dolora Zajick at the Morgan Library in New York as a part of the George London Foundation Recital Series. Mark McCrory is a winner of numerous competitions and awards, including first place in the 2002 Opera Index Competition, a George London Foundation Award (1999) and a Sara Tucker Study Grant (1998). Previously, he was a 1997 Sullivan Foundation Award Winner and a 1994 national winner of the Metropolitan Opera National Council Auditions. He also won first place in the MacAllister Awards Competition in both the Professional Division (1997) and the College Division (1994). He is an alumnus of the Central City Opera Studio Artist Program and the Des Moines Metro Opera Apprentice Program. Born and raised in Dallas, Texas, Mark McCrory is a graduate of the University of North Texas where he was a student of Dr. Edward Baird. While in the Lyric Opera Center, he studied voice with Margaret Harshaw. He and his wife Sylvia currently reside outside of Dallas with their two boys.